Expected to ship Tue Apr 30 2019. 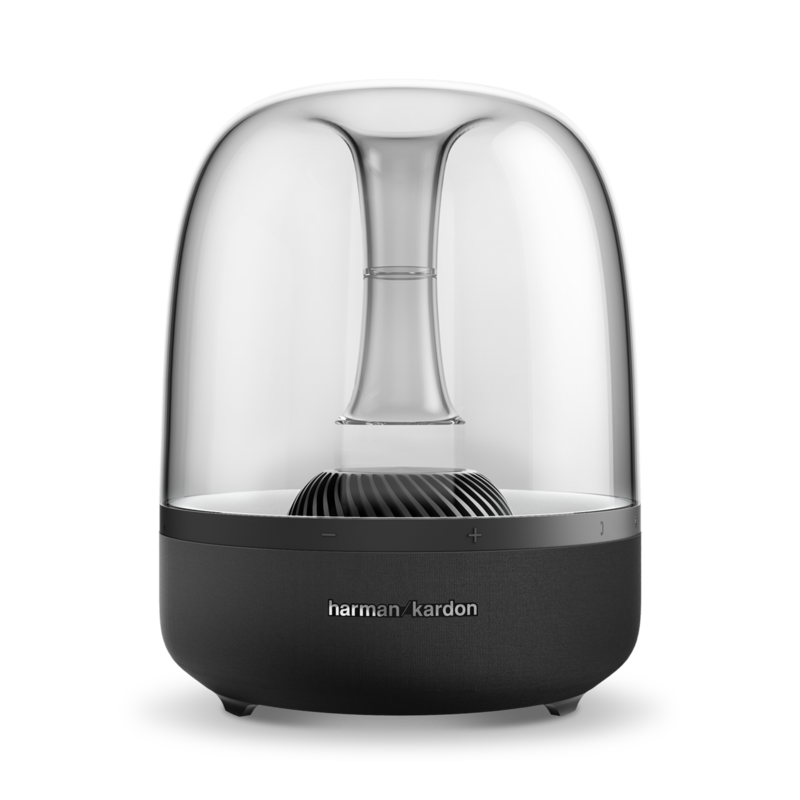 The Harman Kardon Aura Studio combines state-of-the-art acoustic performance and Bluetooth audio streaming with masterful appearance.No less than six premium 1.5” high/mid-range trandsducers and a powerful 4.5” subwoofer deliver 360 degree omnidirectional sound. 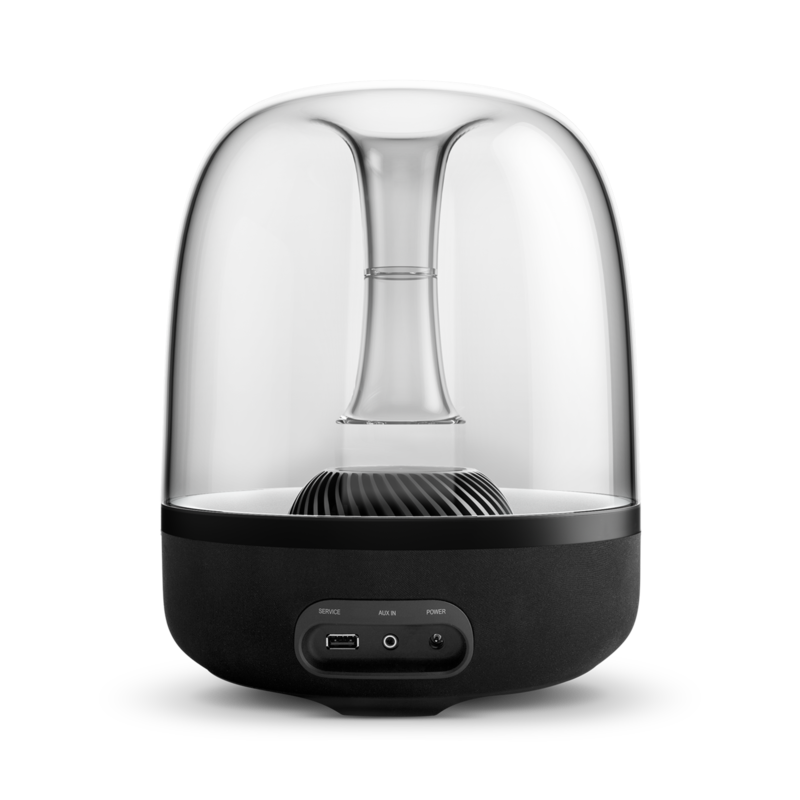 Enjoy immersive, room-filling sound no matter where your music is playing from; you can stream your music via Bluetooth or AUX-in from any mobile phone, tablet, Mac, iPhone, or iPad. A built-in microphone enables conference calls via the Bluetooth speakerphone function of your smartphone. 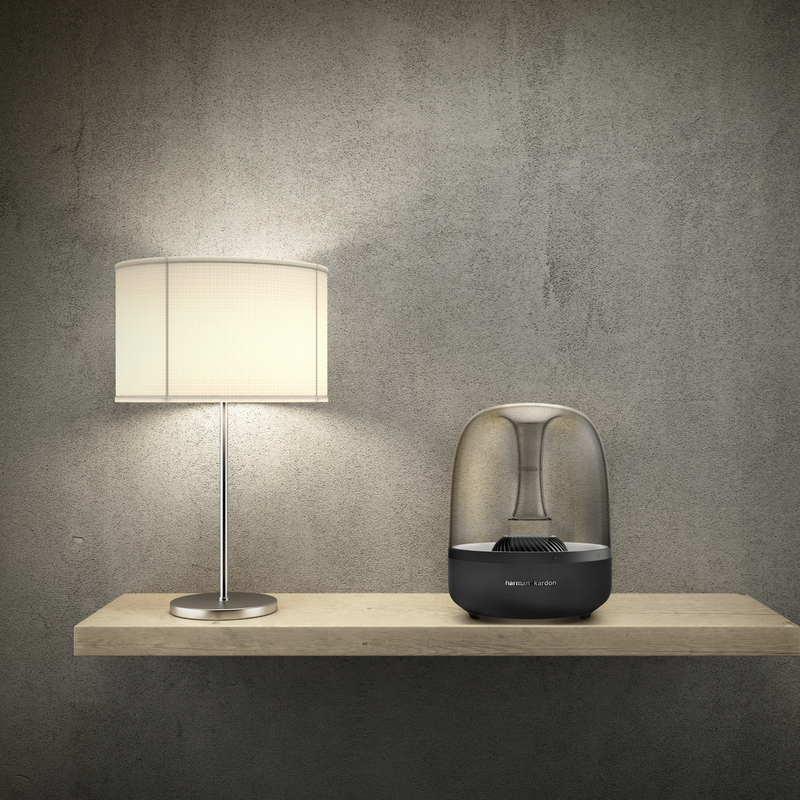 Our Bluetooth® Social Mode allows you to connect up to 2 playback devices to the speaker and take turns playing music.